The Labor Day Holiday weekend kicks off this year on Friday September 3rd as millions of Americans embark on celebrating the annual 4-day holiday, which also officially delineates the end of the summer season. This marks the 130th anniversary of Labor Day, which was officially established in 1886 by President Grover Cleveland in support of the nation’s labor movement. The holiday, which has consecutively taken place on the first Monday in September since 1886, was established in the aftermath of the Haymarket Massacre, a rather turbulent ordeal that occurred that same year in Chicago IL. What started as a peaceful labor rally for labor reform and the institution of 8-hour work days, concluded in the death of seven police officers and four protesters. The nation’s labor laws soon changed thereafter and the holiday honoring the labor movement was established. A lot has changed in the work place and the world since the Labor Day holiday was first inaugurated 130 years ago. Punctuality and arriving on time to work and engagements is one thing that hasn’t changed since then. 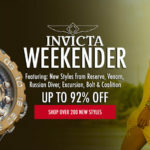 And, you don’t have to look any further than the WorldofWatches.com Labor Day Sale to stay on time with the perfect timepiece at savings too good to miss. 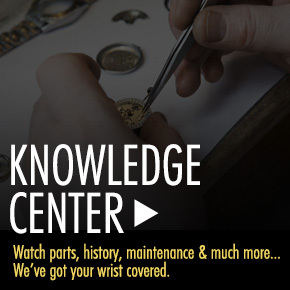 Many of today’s most sought-after men’s and women’s watches are featured in the promotion, including styles from Tissot, Rado, Mulco, Swiss Legend, Invicta, Lucien Piccard, Bulova, ESQ Movado, Raymond Weil, IWC, Elini Barokas, Michael Kors, Oris, Porsche Design, Seiko, Ingersoll and Eterna. 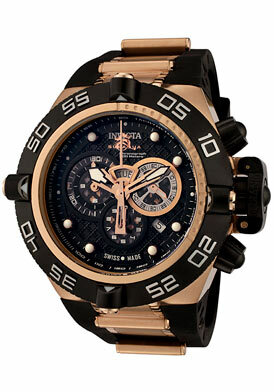 The Invicta Subaqua Chronograph, one of the wristwatches featured in the event, is a bold and dynamic choice for men. Virile and masculine, this robust Swiss-made wristwatch features the 50mm diameter, 20mm thick case in 18K rose gold-plated stainless steel, presented on a high-performance black polyurethane strap with 18K rose gold-plated accents. The unidirectional rotating, black ion-plated stainless steel bezel with screened markers encircles the patterned black dial with three sub-dials, luminous hands and hour markers. Features include an automatic date window, 1/10th of a second, small-second and 30-minute registers. 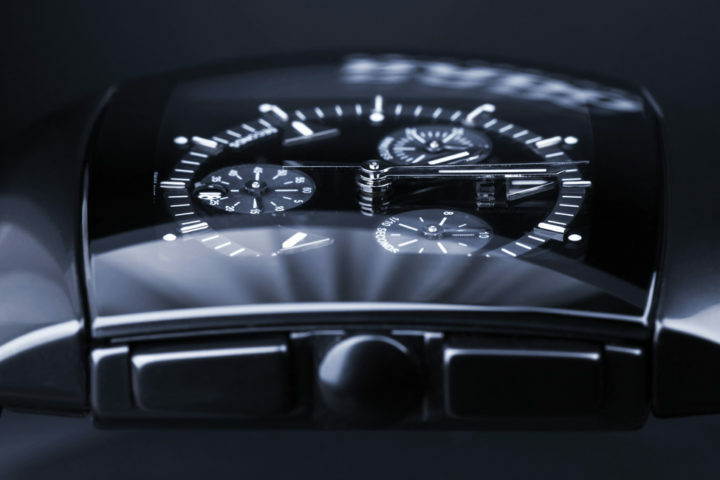 Additional features include a scratch-resistant Flame-Fusion crystal above the dial, premium Swiss-made quartz movement inside, along with a locking screw-down crown and case back for water-resistance to 500 meters or 1,650 feet. The Eterna Artena watch is a chic and trend-setting choice for women. This streamlined contemporary fashion watch features the perfectly round case in premium grade stainless steel with a satiny brushed finish, presented on the attractive red leather strap with contrasting white stitched detail. The extra-long strap is designed to wrap around the wrist for a fashion-forward look. The stationary, integrated stainless steel bezel surrounds the metallic silver-colored dial with polished silver-tone sword hands and baton hour markers. A window at the 6 o’clock hour reveals the automatic date calendar. 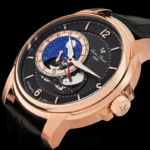 Features include a scratch resistant sapphire crystal above the dial, quality Swiss-made quartz movement inside and water-resistance to 30 meters or 100 feet. 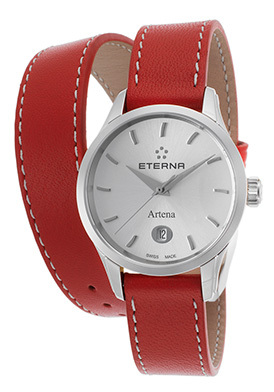 Eterna Artena women’s watch is 34mm in diameter and 8mm thick. The Lucien Piccard Trevi mechanical men’s watch looks like a prized antique with its skeleton dial and decorative fluted detail on the lustrous bezel in rose gold-tone stainless steel. The amply proportioned case in polished rose gold-tone, ion-plated stainless steel is presented on a handsome crocodile-textured leather strap with a convenient deployment clasp closure. An exhibition skeleton case back lets you see the intricate mechanical movement inside. The semi-skeleton dial is surrounded by a silvery white fan-patterned outer dial with outlined blue sword hands, Arabic numeral and baton hour markers. Features include a scratch resistant Sapphitek crystal above the dial and water-resistance to 30 meters or 100 feet. 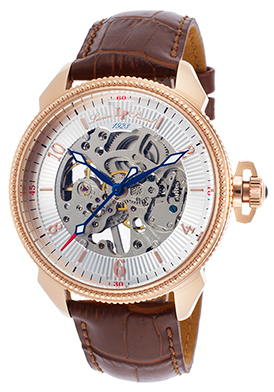 Lucien Piccard Trevi Mechanical men’s watch is 44mm in diameter and 13mm thick. The Bulova Diamond Gallery women’s watch is a stunning selection. This exquisite women’s dress watch shines with sparkling inlaid diamonds, pave-set on the outer sides of the bezel. The graceful Tonneau shaped case in highly polished stainless steel is presented on the lustrous multi-link stainless steel bracelet with a convenient push-button clasp closure. The bright white dial shines with silver colored sword hands and baton hour markers. Features include a sapphire-coated crystal above the dial, quality quartz movement inside and water-resistance to 30 meters or 100 feet. 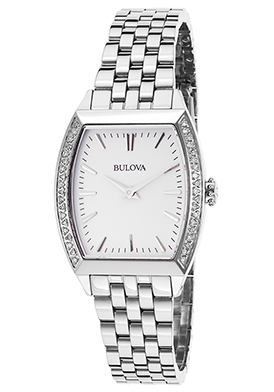 Bulova Diamond Gallery women’s watch is 26mm wide and 7mm thick. 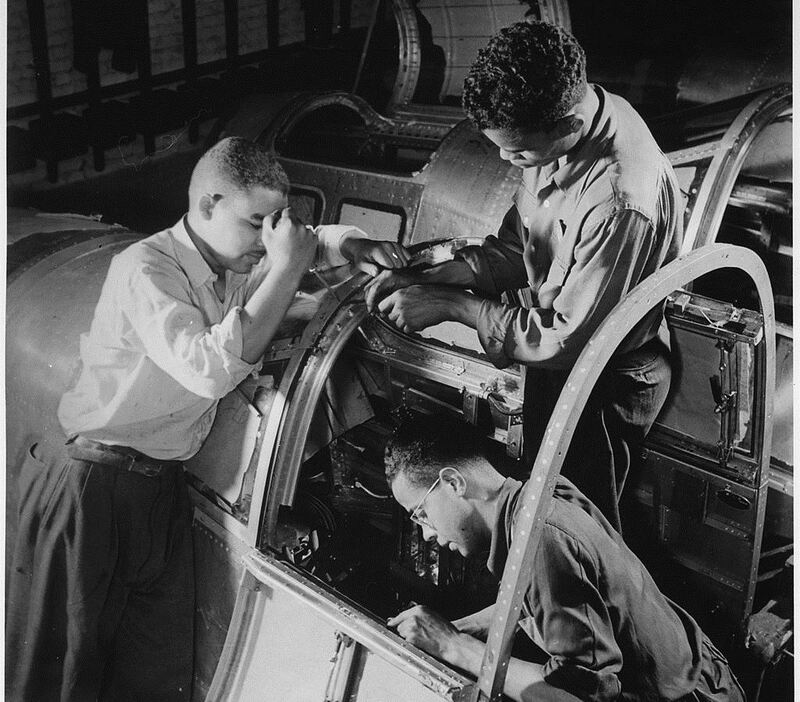 Labor Day factory image courtesy of Wiki Commons.